May the winds be always at your back. Perhaps the bright-eyed, smiling volunteer at packet pickup was Irish. The Big Island is a haven for tourists, after all. Or maybe she borrowed this Irish blessing because it was… well, appropriate. 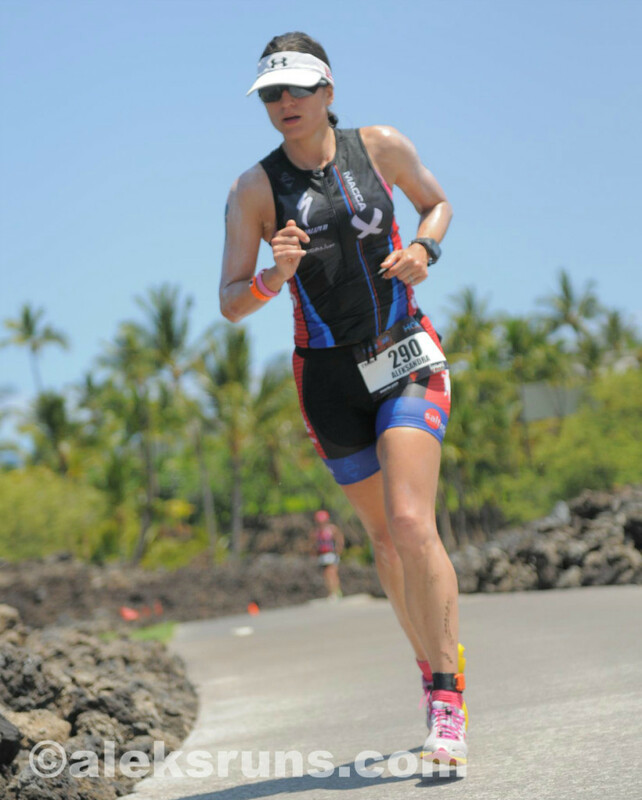 Ironman 70.3 Hawaii, or Honu, as it is colloquially known, has the most famous bike course on the 70.3 circuit. It’s the second half of the World Championship bike course. The hilly part. The windy part. (Though arguably, the first half of the World Championship bike course is just as windy; but I digress.) 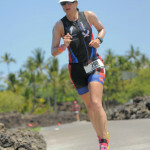 It also, apparently, has one of the most difficult run courses at the 70.3 distance. I learned this just days before the race. Ignorance is bliss. I signed up for Honu months ago, with minimal knowledge – but some suspicion – of the power of the elements there. I knew it would be hot and humid; that’s as much part of Hawaii as the hills are par for the course in San Francisco. 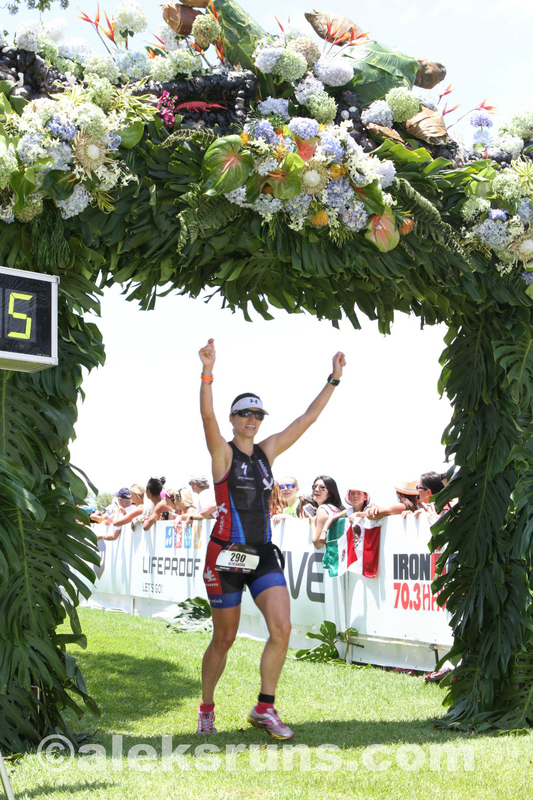 I knew I would have a memorable race – I just didn’t suspect how memorable it would turn out to be. 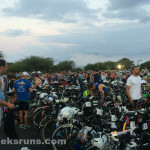 Here is how my Ironman 70.3 Hawaii went down. It’s a long story, so grab a cold one! 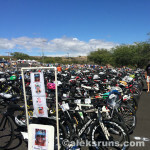 Contrary to what I first thought, Ironman 70.3 Hawaii does not take place in Kailua-Kona. That’s where you go to do the big dance. 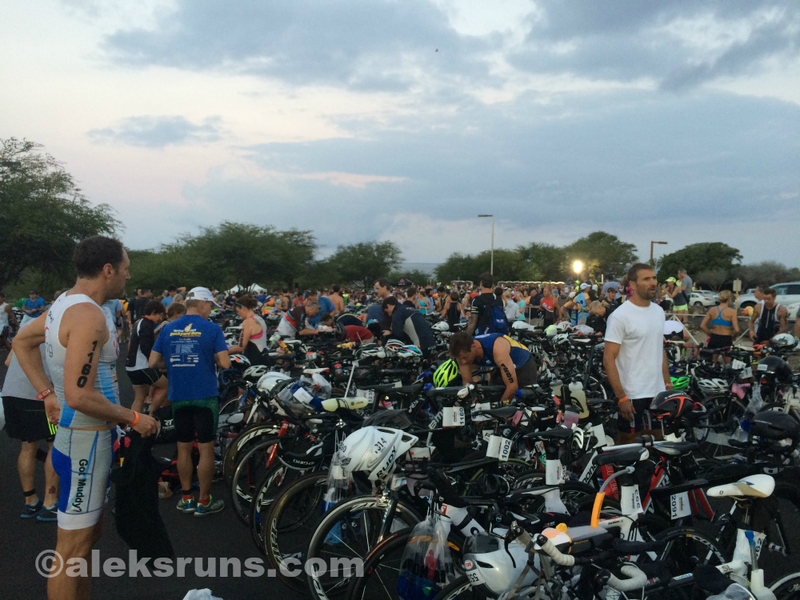 For the half-Iron race, athletes converge about 30 miles north, in Waimea. The base hotel for the race is the Fairmont Orchid Hawaii, hosting the Expo, T2, and race finish. It’s a fabulous property to stay at, if you’re OK with spending $500 or more per night on a hotel room. Everyone else: consider staying at the Fairways, a complex of town homes typically rented by owners at less than half the price, just a third of a mile down the road. 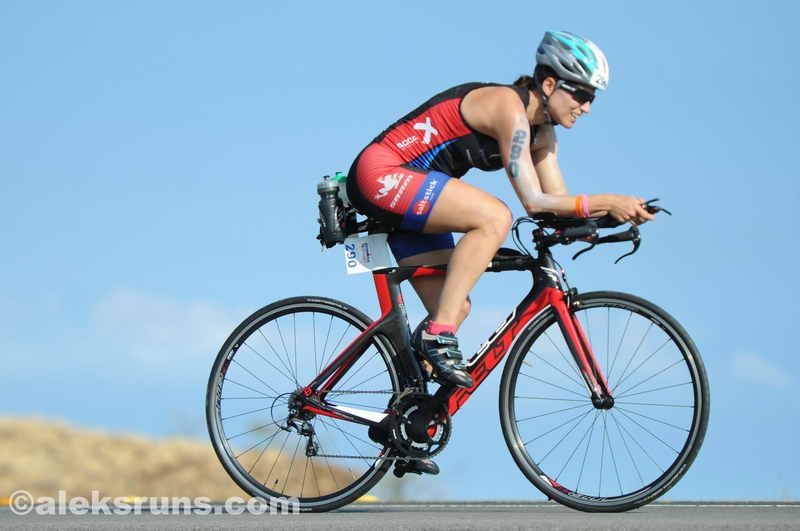 So instead of leisurely picking up my race packet on Thursday and checking in my bike and doing a practice swim the next day, I had to do everything on Friday — the day before the race. A bit stressful. Or a lot. 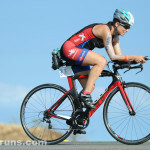 Athlete check-in was a breeze and picking up my bike from TriBike Transport: nearly so. Both tires on my bike — which I found completely deflated for some reason — exploded the second I put air in them. Why this happened, I don’t know. The folks at TBT told me the tires (brand new race ones purchased and installed before I dropped off my bike at Sports Basement, to be picked up and shipped to Hawaii) were too loose for my wheels. So when I inflated my tubes — though I had done this without a problem before bike drop off — they got pinched and BAM! Explosion. Why that didn’t initially happen before I shipped the bike, I’ll never know. Long story short, two new tubes and tires later I was good to go. That’s one way to get all the bad luck and tube explosions out of the way before the race, I suppose. On my brand new tires, I rode the 7-ish miles from the Fairmont Orchid to Hapuna Beach State Park to rack my bike in T1 and take a little practice swim at the beach. I jumped into the ocean for a quick 20-minute swim before heading back. The water was quite choppy, but I had heard that it isn’t like that early in the morning, so I shrugged it off. Choppy or not, it was warm, blue and fabulous! If there is any advantage to racing in Hawaii (besides the place being not too shabby to look at), it’s that those of us in North America, at least, benefit from the time difference. Transition opened at 5 a.m. and I was planning to be up by 4 am so I can make a 4:30 shuttle to the beach. At 3:30 (technically 6:30 for us), I woke up fresh as a cucumber. Brewed a big pot of coffee, gulped down two mugs with two Honey Stinger waffles, squeezed into my race kit, grabbed the Bike Gear bag with my bike nutrition and bottles and was off to the shuttle. By the time we made it to transition, it was already light out. A race first! I readied my bike stuff, filled my bottles and added my usual three tabs of Nuun in each, visited the porta pots and had time to spare for a little warm-up swim. A smooth start to the morning, and pancake-flat waters, to boot! 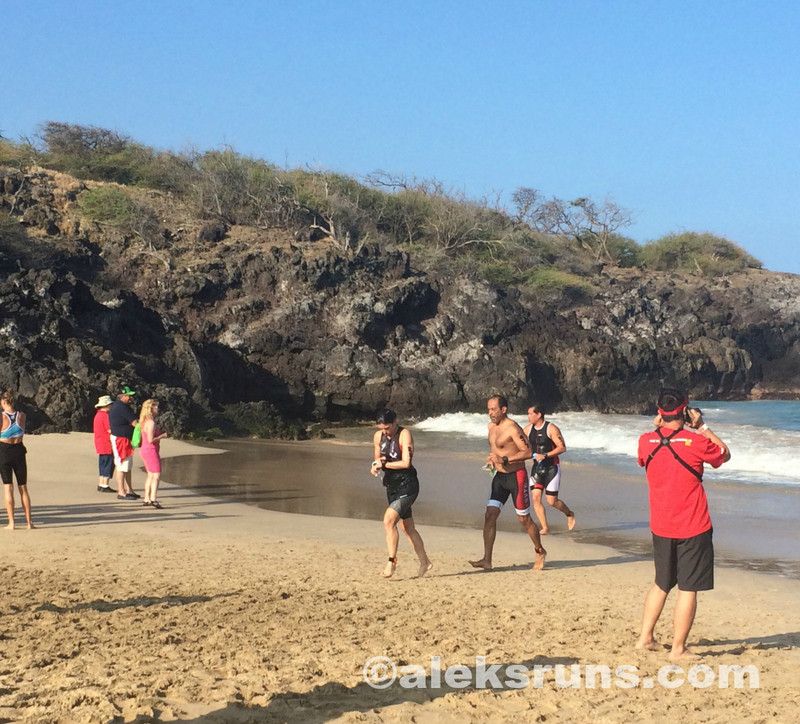 My understanding is that Honu used to be a mass beach start, which basically means 2000 people running into the water, from the beach, to start the swim. That must’ve been a sight! This year, however (and possibly in 2014? I didn’t do a great job researching this, did I??) we had a wave start. My wave was women 39 and under, and we started after all the men. There must have been roughly 200 of us (judging from the finisher results), but because the waves were only four minutes apart, the swim was still pretty crowded. 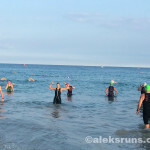 Especially once the 39 and older women caught up to us, I felt some pretty aggressive strokes on the side of my head and a few people pretty much swam over me. 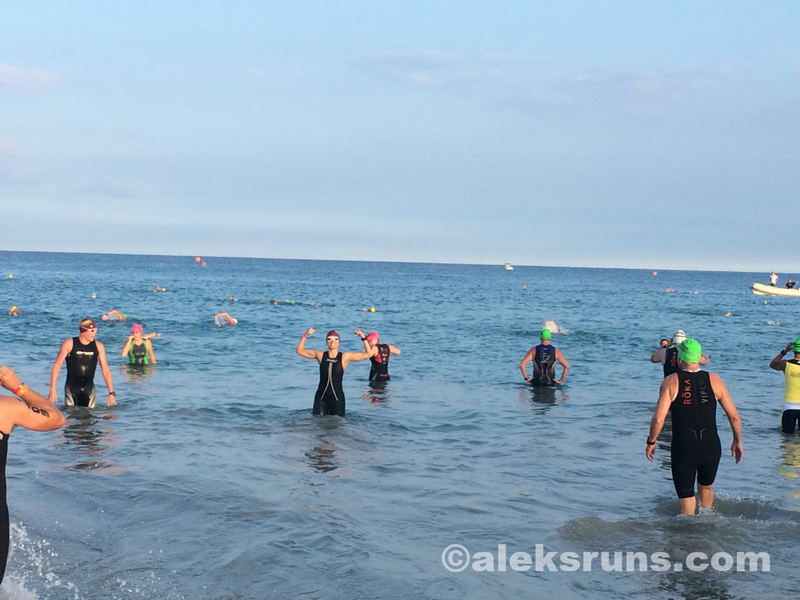 Nothing out of the ordinary for an Ironman (70.3) swim! 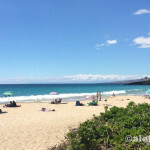 The water at Hapuna Beach is brilliant, though. So blue and crystal clear, you could see the bottom of the ocean at any point during the swim. This somehow made me feel very safe and at home. I almost had to remind myself to keep pushing the water – this wasn’t a leisurely snorkeling trip, after all! 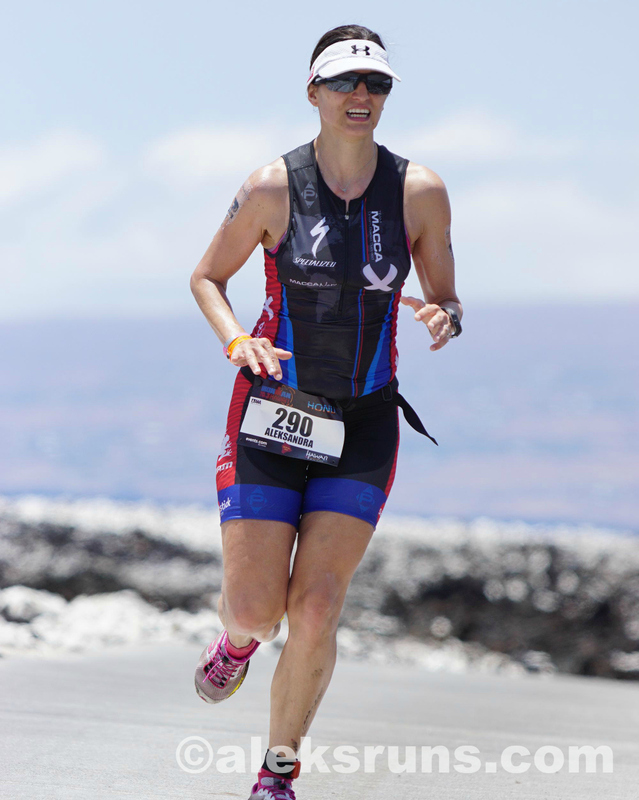 Unaided by a wetsuit, I exited the water a few minutes slower than my previous half-Ironman races – but still quite happy with my day so far! Transition was quick and logistically easy. Onto the bike and, like the volunteer lady said: May the winds be at our backs! I couldn’t wait to experience the famed bike course, but I was also a little terrified of what awaited us. Will the winds be horrible? The hills? I started pedaling. The weather was great: not too hot yet, and not windy! The road was incredible. Silky-smooth surface with not a bump anywhere. Long, long stretches of straight black asphalt that curved gently up and down as we conquered roller after roller, lined by yellow shrubbery and lava on one side (that would turn greener and greener as we approached Hawi) and the brilliant, beautiful ocean blue on the other. Mile after mile, still no wind! Gentle turns here and there, but mostly a very simple, push-the-pedals and let your mind wander kind of ride. Right as we rode past a “Hawi: 7 miles” sign, a guy riding near me said, “Here we go, the hill. This is the tough part.” I kept pedaling, waiting for the tough part… but it didn’t come. Maybe the big climb is after this mile? I thought, pedaling. Maybe after two miles? Then I got so busy looking at the riders who were on their way back, on the famed Hawi descend, that I forgot that I was currently doing the famed Hawi climb! Either I was drugged up on endorphins from the first 20 miles of this ride, or the wind never really came. 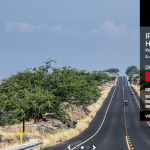 I did wait for it, but before I felt even the slightest push of a crosswind or pressure from a headwind, the Hawi turnaround came. I can’t believe I’m here! 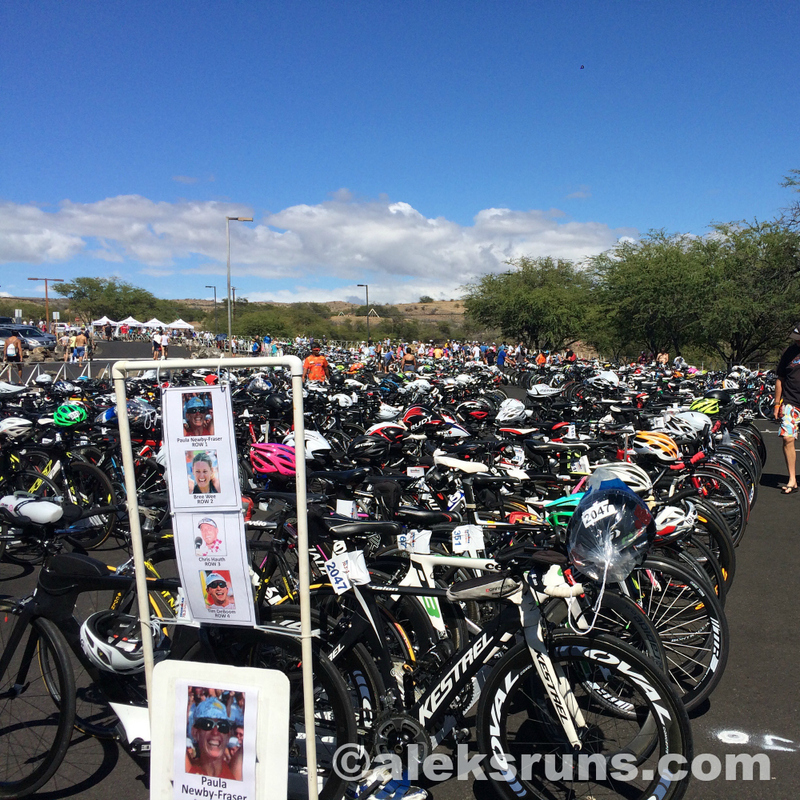 The Hawi turnaround! With that happy thought, I pushed the bike into the hardest gear and slammed on the pedals. And it was amazing! The most incredible downhill ride of my life. My Garmin tracks bike intervals each five miles and during this descend, it beeped a 9:56 five-mile split. If I was having this much fun at an average 30.2 mph, I can only imagine the thrill of riding 50-60 mph (which is probably what the pros average on that segment)! After reliving the road’s ups and downs on the way back (same hills, but backwards! ), I rolled my bike into transition and a woman who came in at the same time observed, quite accurately: “Now time to do a li’l run.” Yes. It was time for a run and I was feeling like a million bucks! Let’s do this! 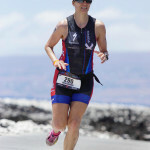 It is amazing how things can go from rockin’ in one minute to bombin’ the next in endurance events. And I bombed so, so remarkably. Right? Except, the majority of this run is on a golf course with a billion gazillion little hills. You are constantly switching from grass to concrete paths, again and again. 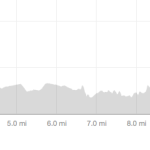 The one larger segment, a little over three miles between mile 8.5 and 11.5, that is on a flat road is very appropriately named on Strava Lucifer’s back yard. I had directions from Coach D to try and run the first few miles at a 8:30 pace, and then, when I find my legs, descend. The only thing descending, however, was my motivation. What the freaking heck happened to my freaking legs? – But with badder words. – Why so heavy? Why getting heavier? 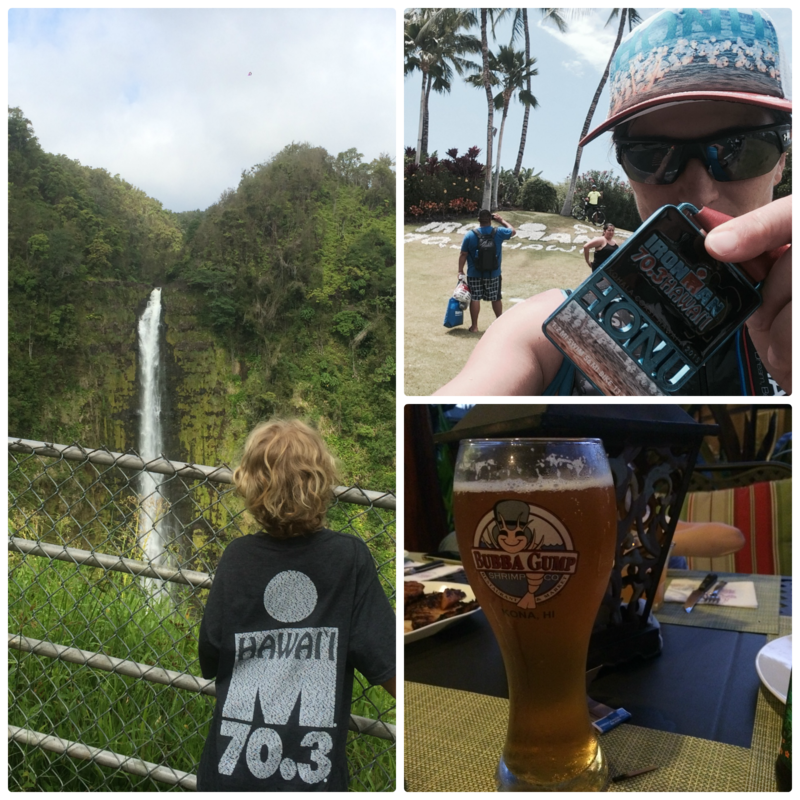 The aid stations were about a mile apart and my goal became to run to the next aid station, then walk while I drink. After about seven miles, I abandoned that goal for a new one: survive to the next aid station, walk whenever. I was doing roughly 5-1 intervals (run/ shuffle for five minutes, walk for one). A stitch in my right side appeared. My entire left leg started cramping and tightening up at the same time. My shoes were so soaked they were making froggy noises with each step. Each step, torture. A scorcher torture! I kept telling myself that the course is finite and I’ve made it this far. Quitting was not an option. During the first or second mile, a lady passed me and we briefly chatted about the course. 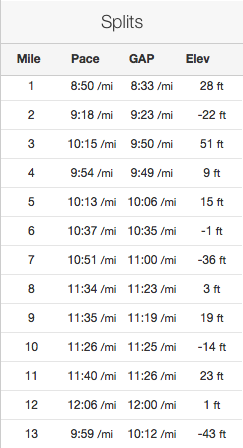 “I’m running a full two minutes per mile under what I should be running,” I said. “Don’t worry, she responded, so is everyone else.” After a while, she moved on. Then I ran for a bit with another a lady, from Atlanta. She let me borrow her mantra (and at that point, I was taking anything that might help): “Take the pain within and turn it into joy.” Thank you, nice lady! She, too, moved on after a few miles. I didn’t care how many people passed me — as long as I didn’t pass out before crossing that finish line. It finally came – I heard it before I saw it – and I dug for whatever was left in my head and my legs… to manage a 10-minute last mile. It was finally vacation time! This was amazing, funny, and helpful. We picked the race this year based on our first wedding anniversary – and frequent flier miles – and now I feel like we can finish. Your report was refreshing and helpful. Thank you! I have fond memories of this race (now that several years have passed and I’ve *almost* forgotten the heat :-)) You can definitely finish, hydrate well, remember your electrolytes, and lots of ice in the pants! 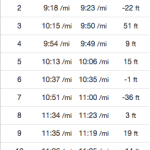 What is the total elevation gain on the run? Reading your blog is inspiration. I did exactly as you did(sign up without investigating on anything and confirming which is the “easier” 70.3 course) and I am looking for whatever information I can get. excited and definitely scared about not making it. Your blog makes me have some hope that i can get it done and I will do my best! thank you! OK, you are an amazing athlete. Such a great job! Direct sun and heat for a half marathon (even without that whole swimming an cycling nonsense first) is TOUGH. 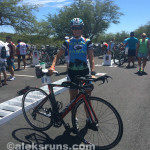 I can’t decided if this post makes me want to do a tri or to never ever do one ever;). Woohoo!!!! hope the vacation after was a worthy celebration of your great achievement!! Thank you! 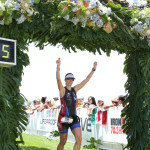 You should most definitely tri! 🙂 Even in misery, this sport is amazing fun! You continue to be such an inspiration 🙂 Congrats on *every* step of this race. Even those that were brutal to take are going to give you a wellspring of strength somewhere down the line. I hope the vacation that followed was wonderful–you deserve it, my friend! Thank you, girl! Waiting for strength to activate for the Santa Rosa Marathon! When are you going to plan a destination wine country half or full, so we can meet up? Thanks! I think because my run was so slow, there wasn’t much to recover from? I bet you will have a much better time in Mont Tremblant! The absence of heat/ humidity alone does wonders to a run. Good luck!